On Thursday 15th November, Robin Horsfield (Trinity McQueen) and Jo Caley (Legal & General) strode upon the stage to entertain the crowd for the headline slot at the MRS Financial Services conference. Could it get more rock’n’roll? I doubt it! The preceding acts had focused on technological and legislative developments in the morning (including open banking and chat bots). The afternoon was more people-focused where topics ranged from ‘young people and money management’, to ‘why women experience a pension shortfall more than men’. The stakeholders were engaged throughout the project from the opening workshop. This workshop was a pop-up event organised by L&G entitled ‘know our customers’. It helped bring together sometimes disparate elements of the business, and people who often worked remotely; to spend time together, bond and get into the crux of the project. The life-size dog cut-outs meant people were chomping at the bit to be involved! 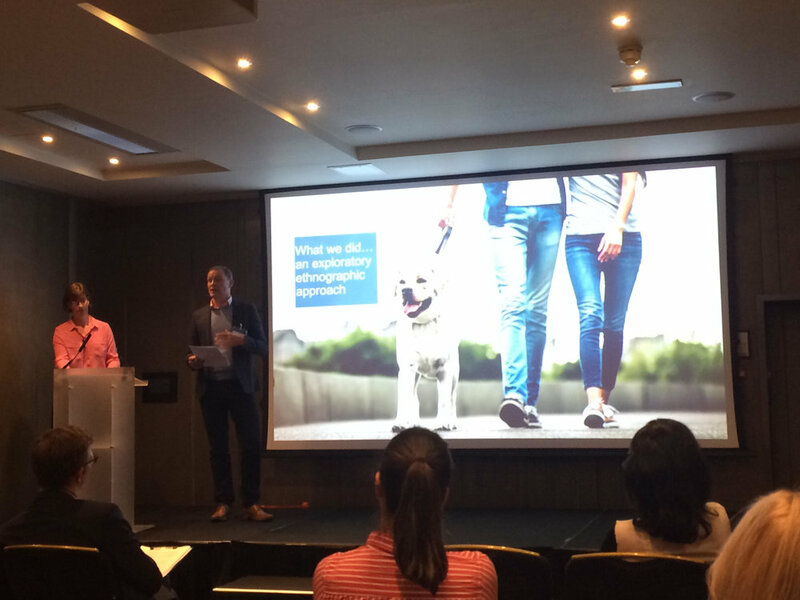 Jo concluded the overview by explaining how the insights fed into Legal & General’s marketing communications (including adverts for ‘Animal Stories on 5’) and helped to secure ASDA as a pet insurance distribution partner. Thanks to Jo at L&G, and Louisa Wedderburn and Richard Young at the MRS, for making the event such a success. If you want to explore how to understand potential customers and really engage key stakeholders in your research, please get in touch. Has Black Friday had its day?